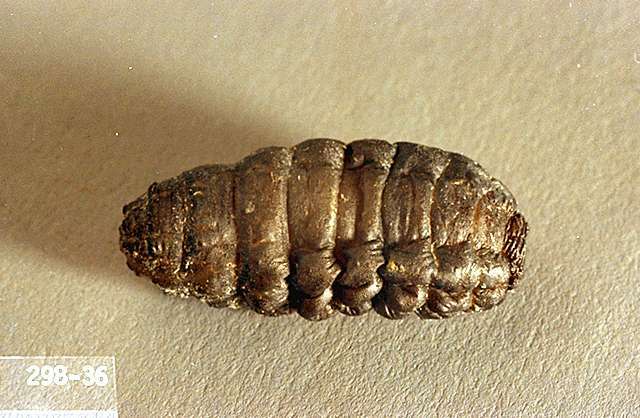 Biology Typically, the life cycle of a cattle grub spans about a year, with most of that time spent as a larva migrating inside the animal's body. 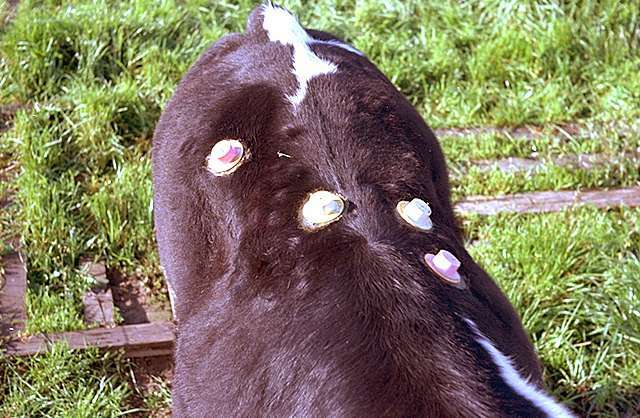 To avoid adverse host-parasite reactions, cattle should be treated either before or after grubs migrate through the body. 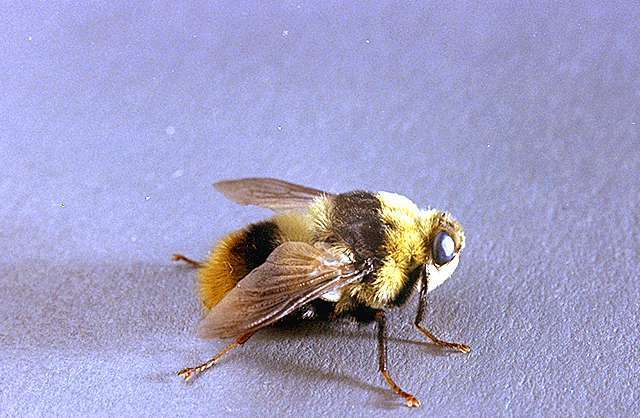 The best time to treat is as soon as the heel fly (adult stage) season is over. In practical terms, treatment for grubs may be accomplished at the same time as fall treatment for internal parasites but no later than November 30 to prevent a toxic reaction from dead/dying grubs that have migrated to vital regions such as the esophagus or spinal canal. doramectin pour-on (Dectomax) at 1 ml/10 kg (22 lb) body weight. Apply along the midline of the back in a narrow strip between the shoulders and tailhead. Do not slaughter within 45 days of treatment. doramectin subcutaneous injection (Dectomax) at 1 ml/50 kg (110 lb) body weight. Inject under loose skin in front of or behind shoulder. Do not slaughter within 35 days of treatment. eprinomectin pour-on (Eprinex) at 1 ml/10 kg (22 lb) body weight. Apply along midline of back. No slaughter interval, no required milk discard time. eprinomectin subcutaneous injection (LongRange) at 1 ml/50 kg (110 lb) body weight. Inject under the loose skin in front of the shoulder. Do not slaughter within 48 days of the last treatment. ivermectin pour-on (Ivomec, Phoenectin, Noromectin) at 1 ml/10 kg (22 lb) of body weight. Apply along the midline of the back in a narrow strip between the shoulders and tailhead. Do not slaughter within 48 days of treatment. ivermectin subcutaneous injection (Ivomec) at 1 ml/50 kg (110 lb) of body weight. Inject under loose skin in front of or behind shoulder. Do not slaughter within 35 days of treatment. moxidectin pour-on (Cydectin) at 1 ml/10 kg (22 lb) body weight. Apply along the midline of the back in a narrow strip between the shoulders and tailhead. No slaughter interval, no required milk discard time. moxidectin subcutaneous injection (Cydectin) at 1 ml/50 kg (110 lb) body weight. Do not overdose. Inject under loose skin in front of or behind shoulder. Do not slaughter within 21 days of treatment. tetrachlorvinphos (Rabon RTU 3%)-After grubs have encysted apply 3 to 4 oz down the backline and rub in thoroughly taking care to get the dust into the warble.